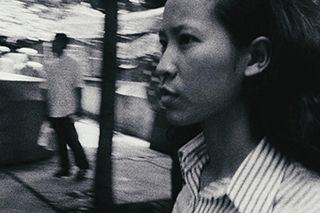 Restored by The Film Foundation’s World Cinema Project and Cineteca di Bologna at L'Immagine Ritrovata in association with HB Filmes, Cinemateca Brasileira, and JLS Facilitações Sonoras. Restoration funded by the George Lucas Family Foundation. Restored in 4K from the 35mm original camera negative and a first generation 35mm dupe negative preserved at the Cinemateca Brasileira. In order to minimize the overall presence of mold, particularly invasive in reels 3, 5 and 6, the camera negative was wet-gate scanned at 4K resolution and digital restoration required considerable efforts. Missing frames in three different shots of reel 3 were replaced using the internegative. The recently rediscovered original magnetic soundtrack, also affected by mold, with the oxide peeling off the base, was carefully repaired by Beto Ferraz then digitized and restored by José Luiz Sasso (ABC), sound engineer for Hector Babenco in 1981. 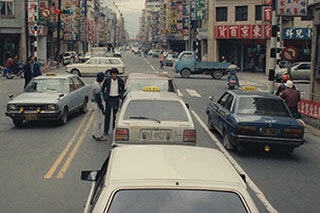 Final color grading was supervised by cinematographer Rodolfo Sánchez using a first generation vintage 35mm print as reference. Restored by Cineteca di Bologna at L’Immagine Ritrovata and The Film Foundation’s World Cinema Project in association with the Museo del Cine Pablo Ducros Hicken with elements provided by the Cinémathèque Française and the Narodni Filmovy Archiv. Funding provided by the George Lucas Family Foundation. 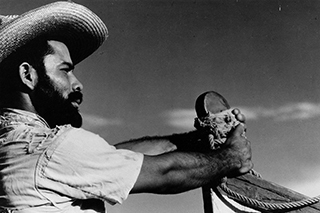 PRISIONEROS DE LA TIERRA was restored using the best existing elements: a first generation 35mm positive print held at La Cinémathèque française and a recently rediscovered third generation 35mm positive print preserved by the Narodni Filmovy Archiv. For its overall completeness and photographic quality, the first generation 35mm positive print was used to restore the image, while the third generation 35mm positive print was the primary source for sound restoration. A 16mm dupe negative, provided by the Museo del Cine, has been also been studied and compared as a reference. Color grading was supervised by Paula Félix Didier, director of the Museo del Cine Pablo Ducros Hicken. Restored in 2009 by Cineteca di Bologna/L'Immagine Ritrovata laboratory, in association with The Film Foundation’s World Cinema Project and Filmoteca de la UNAM. Restoration funded by Armani, Cartier, Qatar Airways and Qatar Museum Authority. The restoration of Redes used the best surviving materials, namely a 35mm safety duplicate negative and a positive print preserved at the Filmoteca de la UNAM in Mexico. The digital restoration produced a new 35mm internegative. 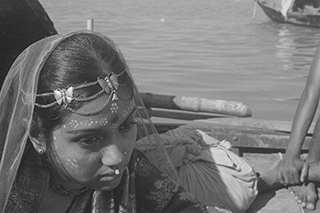 Restored in 2010 by Cineteca di Bologna /L’Immagine Ritrovata laboratory, in association with Ritwik Memorial Trust, the National Film Archive of India, and The Film Foundation’s World Cinema Project. Additional film elements provided by the Bundesarchiv-Filmarchiv. Restoration funded by Doha Film Institute. If you were eighteen years old, growing up in New Delhi, a student of cinema, a cinephile or a plain film snob, it was given that you would swoon over the film-maker Ritwik Ghatak and spend endless hours in the Delhi University canteen discussing his films, his alcoholism, and his eventual death from Tuberculosis. An ‘avant garde’ Writer and Director, Ghatak had caught the imagination of many of us who carried Mao’s Red Book’ and quoted liberally from it (in English) at the drop of a hat. After all, didn’t Ghatak (a card carrying Communist) film the extreme poverty and the cultural extinction of Bengal by Imperialism? Because of the political ‘din’ surrounding much of Ghatak’s work, ironically the work itself, as opposed to the man’s personality and politics, got neglected by the legion of his die-hard fans (me included!). It was only years later when I saw his epic, A River Called Titas, that I swooned for totally different reasons. The film is a work of pure genius. A passionate elegy for a dying culture, it moved me profoundly, and continues to haunt me to this day. Based on a novel by the Bengali author Advaita Barman and adapted for the screen by Ghatak, A River Called Titas, tells the raw and powerful story of a dying river and a dying culture. The restoration of A River called Titas used the camera and sound negatives and a positive print provided by the Ritwik Memorial Trust and held at the National Film Archive of India. As the original negative is incomplete and some reels were severely damaged, a combined lavender and a positive print provided by the Bundesarchiv-Filmarchiv were also used. The digital restoration produced a new 35 mm internegative. Restored by Cineteca di Bologna/L’Immagine Ritrovata laboratory and The Film Foundation’s World Cinema Project, in association with the National Cinema Centre of Armenia and Gosfilmofond of Russia. Restoration funded by the Material World Charitable Foundation. And what about the fate of the picture now? Armenia showed this film, sent people to see it. I wouldn’t say that the people understand the picture, but they go as if to a celebration. […] Every layer of society is going – they sense their genes in the picture. It wasn’t the subject, it wasn’t the established canons of the fate of the poet – conflict with the tsar, conflict at court, the banishing of the poet from the palace, wordly life, the monastery – these were not the point of my scenario, but the colors, the accessories, the details, of the daily life that accompanied the poetry. Here I was trying to portray the art in life, rather than portray life in art. The other way around, so that art is reflected in life. […] The picture is very primitive in its structure: there was childhood, there was youth, there was love, there was the monastery, there were the stones. The beloved was a stone, the cell was the beloved, the beloved, her breast is glorified in verse, the rose is glorified in verse. Then there was the thought: my throat is dry, I am ill. The poet dies. Everything is so simple, clear, as in the fate of a great poet, an ashugh, a minstrel. Watching Sergei Parajanov’s The Color of Pomegranates, or Sayat Nova, is like opening a door and walking into another dimension, where time has stopped and beauty has been unleashed. On a very basic level, it’s a biography of the Armenian poet Sayat Nova, but before all else it’s a cinematic experience, and you come away remembering images, repeated expressive movements, costumes, objects, compositions, colors. Sayat Nova lived in the 18th century, but the look and movement of the film seem to have come out of the middle ages or an even earlier time: Parajanov’s cinematic tableaux feel like they’ve been carved in wood or stone, and the colors seem to have naturally materialized from the images over hundreds of years. There’s nothing else quite like this picture. For many years, it’s been a dream to see The Color of Pomegranates restored to the form originally intended by Parajanov. This restoration represents years of painstaking work by many people. As always, I would like to thank our colleagues and partners at the Cineteca di Bologna and L’Immagine Ritrovata as well as all the individuals and organizations who have supported this challenging project and dedicated an enormous amount of time and energy to preserve Parajanov’s oeuvre. 45 years after its Armenian release, the film is premiered at Cannes Classics in its restored version, as Parajanov originally conceived it. Both the Armenian (also known as “Parajanov’s cut”) and Russian (Sergei Yutkevic’s) versions have been preserved and restored. The restoration used the original camera negative preserved at Russia’s Gosfilmofond, as well as the 35mm dupe negative held by the National Cinema Centre of Armenia. The original camera negative has been scanned in 4K by Gosfilmofond in Russia and restored by L’Immagine Ritrovata in Bologna. The sound restoration was made from the original magnetic track, preserved by Gosfilmofond, in addition to the Armenian reference print. 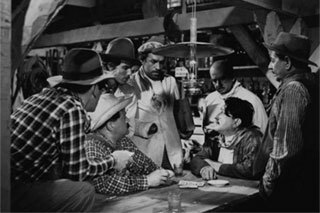 A vintage print of the film, produced on Orwo stock and preserved by the Harvard Film Archive, was used as a reference for the grading phase. 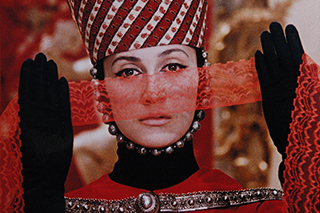 The Russian version of The Color of Pomegranates has also been preserved for posterity. 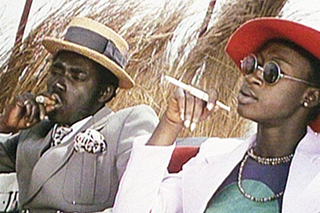 This restoration is part of the African Film Heritage Project, an initiative created by The Film Foundation's World Cinema Project, the Pan African Federation of Filmmakers and UNESCO--in collaboration with Cineteca di Bologna--to help locate, restore and disseminate 50 African films with historic, artistic and cultural significance. 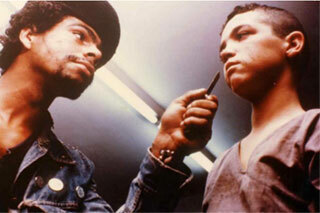 I identify with Med Hondo in terms of anger and I share his obsession with history and self-reliance. When I wrote my script I did not have an audience in mind, I was living in France and experiencing what being a minority felt like. I had to yell and free myself. 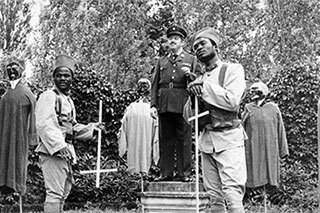 Writing the script of Soleil Ô was an authentic act of rage and liberation. Once the script was ready, I gathered a crew of technicians and a team of African actors. Then I went to see some film processing companies and told them “Here I am, I don’t have a penny in my pocket but I want to make a film, let me have some raw film, I will reimburse you on an installment plan, and if I fail to do so you can put me in jail.” They agreed. The film cost $ 30,000 and it took almost two years to shoot because my actors were not always available. There are different perceptions of an image. Soleil Ô is crystal clear and is neither intellectual nor sophisticated. It has often happened that those who understood it best were illiterate. When it was shown in Algeria, because the audience was completely able to identify with the film, the proletarians explained it to the intellectuals. My main character could be a garbage collector, a student, or a teacher. His status does not prevent him from being affected in the same manner by the general conditions of history within a racist society. To be a Black expatriate is an identity. Soleil Ô derives from the African oral tradition. It depicts a unique reality. There is no dichotomy between style and content; here it is the content which imposes a style. I wanted to describe several people through one person instead of using a group of people. In my country, when people talk about a specific issue, they may digress and come back to their initial topic. Black cultures have a syntax which has nothing to do with Cartesian logic or that of other civilizations. 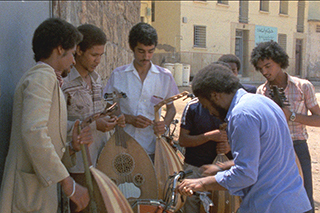 The restoration of Soleil Ô was made possible through the use of a 16mm reversal print, and 16mm and 35mm dupe negatives deposited by Med Hondo at Ciné-Archives, the audiovisual archive of the French Communist Party, in Paris. The reversal print was scanned at 4K and digital restoration eliminated dirt, scratches and mold. Despite excellent photographic quality overall, a few sequences appear slightly out-of-focus; this is true to the original cinematography. A vintage 35mm print preserved at the Harvard Film Archive was used as a reference. Color grading was supervised by cinematographer François Catonné. The original 16mm magnetic tracks were used for the audio restoration. 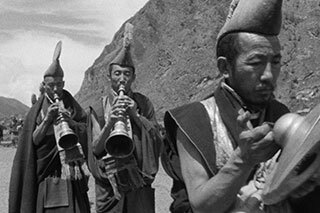 After digitization, the soundtrack was cleaned and background noise reduction eliminated all noticeable wear marks; particular attention was devoted to the specific dynamics and features of the original soundtrack, namely percussion and chants. Reel 4 as well as the main and end titles were missing, so these were restored using the original 35mm soundtrack. The latter was also used to replace the 16mm mag tracks in the parts where the mix differed slightly from the vintage 35mm print.